Orlando is always changing and that is true once again in 2018. 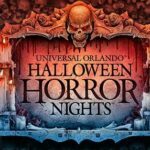 This year, there are plenty of new attractions to visit, from brand new buildings to amazing additions at some of the most well-known and well-loved theme parks in the Orlando area. 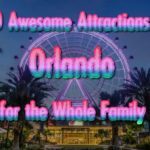 If you are planning to visit Orlando during the 2018 season then you are going to get the opportunity to visit these brand-new attractions. There are probably dozens of attractions being added in 2018, but we will be looking at nine of the best and most unique ones. These are attractions that you should not miss if you are in the Orlando area after they open. There are a lot of animal attractions in the Orlando area. 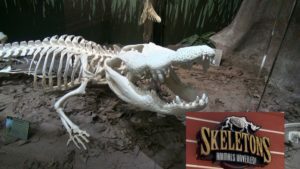 People are pretty familiar with SeaWorld and the Animal Kingdom, but the newest animal attraction has a pretty strange name: Skeletons: Animals Unveiled. You can find this brand-new animal attraction in the I-Drive 360 complex, and you will have the opportunity to explore the rich history of Florida and the Orlando area by taking a look at animals from the inside. This may seem a little off-putting at first, but with more than 450 real skeletons from animals all over the world, this is a very unique and educational opportunity and one that no one should miss. See skeletons from an African elephant, a hippopotamus, a giraffe and even a Tasmanian devil. 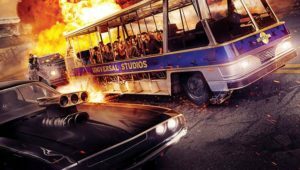 If you plan on visiting Universal Studios Orlando while you are in the area then you may want to check out Universal Studios brand-new ride the Fast & Furious: Supercharged. If you love the movies, then you are definitely going to love this ride. Guests will be taken right into the immersive world of underground racing and be able to zoom along with their favorite stars from the films in a thrilling race that is full of action and excitement. You’ll be totally immersed in a brand-new story line and instead of just watching the movie you’ll actually get to be in it. This is a terrific ride full of great special-effects and high-octane excitement. The Nona Adventure Park is not that unique at first glance. After all, does the Orlando area really need another water park? But this is different than any other water park you may have visited in the Orlando area. 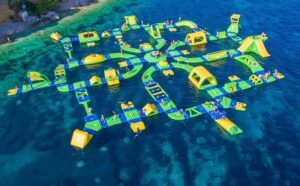 This is a water sports park that features some of the most challenging and exciting inflatable water obstacle courses that you have ever seen. You’ll be able to ride the rapids, get pulled along on a wakeboard or boogie board around a huge lake by secure cables and climb a 60 foot tower with its own rope course. If you are in the area, maybe looking for an way to wear out the kids early in your trip, this park is worth a visit. It will be one of the most unique water parks that you have yet visited. There is absolutely nothing more thrilling than riding the rapids over a waterfall, and now SeaWorld Orlando offers the most exciting, thrilling drop that you will ever experience. That’s right; Infinity Falls is the largest, tallest and longest river drop in the world. This is a one-of-a-kind thrilling adventure that you simply cannot find anywhere else. What you do is climb aboard a raft and strap in for a journey that you will not ever forget. This rapids ride will make you think you’re in a movie, but it is perfectly safe. Plus, the jungle around you is one of the most beautiful sights you will get to see anywhere, and it is worth the ride all by itself. LegoLand has a brand new addition to their popular park – The Great Lego Race. The Great Lego Race takes you from building Legos and being surrounded by Legos to actually immersing yourself in the world of Lego even further. 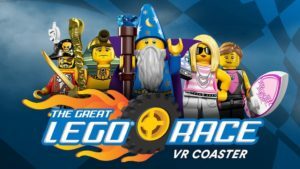 The Great Lego race combines the park’s Project X roller coaster with the most advanced virtual reality technology available today to put kids in the driver seat as they enter a world filled with Legos and fly through it at top speed. This is a ride the kids will come back to again and again. You can find it at the Wells Fargo Funtown Theater and get a chance to see what the future of virtual reality is really all about. 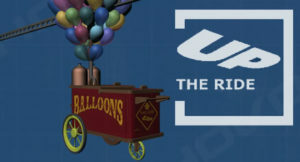 You definitely should visit Animal Kingdom if you are a fan of the movie UP, because there is a brand-new show featuring this beloved movie. You’ll be able to follow along with Senior Wilderness Explorer Russell and his faithful companion Dug (Squirrel!) And discover species of birds from around the world through their perspective. This new adventure can be found at the Caravan Theater at Animal Kingdom. 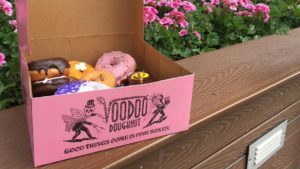 You might think that you have tasted all of the possible types of doughnuts that you have ever wanted to, but that’s because you have never gone to Voodoo Doughnut. Voodoo Doughnut is one of the doughnut specialty stores that continue to crop up in certain cities around the United States featuring the most unique and incredible doughnuts that you have ever seen. or tasted, in your life. These are not going to do anything good for your heart, and should be enjoyed in moderation. One thing is for sure they are going to do amazing things for your taste buds. Some of the flavors include Bacon Maple Bar, Voodoo Doll, Voodoo Bubble, Mango Tango and Raspberry Romeo. If you want a truly surreal experience and something that your kids are going to absolutely love, then you want to visit Toy Story Land. Toy Story Land puts you in the eyes of a toy and everything around you will lead you to believe that you actually are that small. This is one of the most unique and interesting experiences that you will ever have either as a kid or an adult. Toy Story Land is built with the same characters and images from the popular Toy Story movies, so your kids are going to love seeing their old friends and being able to get down on their level and check out things through the eyes of a toy. This is an adventure that your kids will keep talking about for days or weeks after you have attended, and you will have given them something that they will likely never see again. 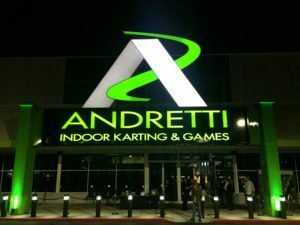 If you enjoy the thrill of go-karting, then you should check out the multi-million dollar Andretti Indoor Carting and Games facility. This place is simply massive with huge tracks and super-fast cars for adults and slower speed go carts for younger kids. This is truly a place for everyone, and it is brand-new in 2018 in Orlando. You’ll spend hours in the go-cart going around the track trying to race your friends and family members, but there is a lot more to do in Andretti indoor carting than just racing the track. There is a huge arcade, lots of different food and drink places and sights and sounds everywhere that you will not be able to take in completely in a single day. 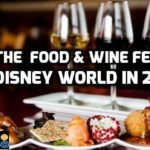 This is definitely worth a visit if you’re coming to Orlando in 2018. 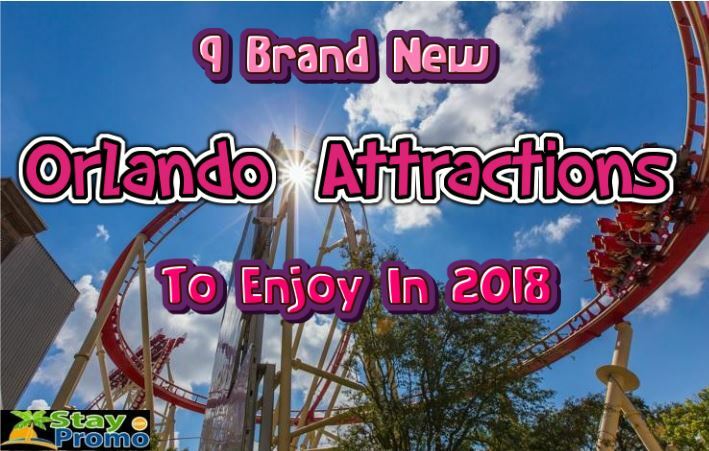 As mentioned before Orlando is always adding new rides, shows, restaurants, shops, you name it, so it’s safe to say that you won’t be hard pressed to find an attraction that’ll you will enjoy. Start planning your next Orlando vacation now! We’re offering huge discounts of up to 80% off right now for Orlando Florida vacation package deals, so check them out if you’re ready to come down and see all these great attractions for yourself.